He was supposed to be a painter, creating imagery paralleled to his musing. However, it took a long time to come out from the hiding, quiet literally to have a journey through hotel school, learning astutely to working on best burners in Delhi, Mumbai and eventually London which turned out to behis widest and most colourful canvas so far. Growing up in a small town close to Calutta; having an agriculturist father, Sujan always had an intuitive connect with what goes into making the best of foods. His connect with the nature and its reflection is visible in his everyday practice. Some call him the thinking chef designing India’s space on world food map and others call him the massive coup to change how Indian food transpires,across the continents. After thirteen years of experience of learning under the big names such as Andre Garret, Chris Galvin and Peter Tempelhoff; he mastered his art. Things started to get exciting at Automat when he joined as a head chef at the age of 27 in the shortest time after joining, he opened gates to Almada next door, making it one of the most exclusive hideouts for celebrities in central London. With the latest gems Tresind in Dubai and original as it can get; The Tasting Lab speaks volumes of his passion. All of this resulting in the latest title of Chef of the Year 2016, by Times Food Guide. Chef De Cuisine at Olive Kitchen and Bar and genius co-owner at Ek Bar, Sujan Sarkar is an artist, but of a different kind. 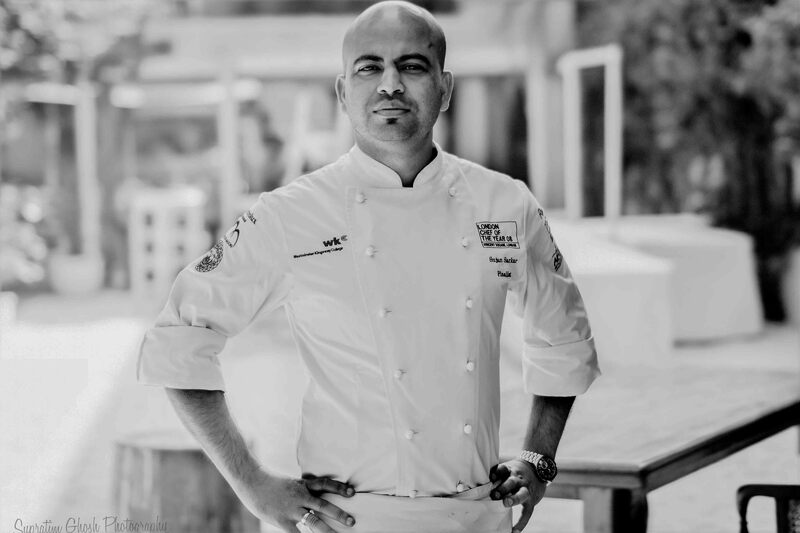 He is one of the kinds who has reimagined Indian flavours in a different new perspective and form ,working on ideas that are as exciting to himself as much the culinary world. As much it waits for newer inspiration. Chef Sujan’s S latest passion project being Rooh, A soon to open progressive Indian restaurant and cocktail bar in San Fransico bay area.